While your fence is a crucial component of your outdoor space, it is also necessary for keeping your pets contained safely within the perimeter of your property. In considering this, it is equally important to choose a fence that is both aesthetically pleasing to your landscape as well as safe for your dog to enjoy running and playing in your yard. If you are considering a new fence for your home, be sure to keep these three factors in mind as you choose the right fence for your home and your dog. While your fence is a crucial component of your outdoor space, it is also necessary for keeping your pets contained safely within the parameter of your property. 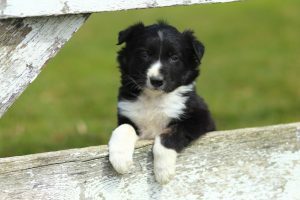 A smaller breed of dog may be easily contained in a medium-sized wood or vinyl fence. However, a large dog may have try to jump over or run through a shorter or weaker fence in an effort to run out of your yard. For this reason, it is especially important to consider the size and strength of your dog as you look for potential fencing materials, as some may be stronger and more durable than others. Along with the size and strength of your dog, height is also an important factor for your fence design, as your new fence will not only keep your pet inside your property, but it will also keep unwanted visitors out. With this, it is also important to consider the spacing between railings within the fence, so that your dog will not hurt themselves in an effort to chase something beyond your property. The right fence can make all the difference for making your pet feel comfortable and safe in your outdoor space. Because dogs especially spend so much time outside, it is important to make them feel comfortable in your yard, as other dogs passing by may scare them or cause them to be unsettled. Options such as full panel fencing are perfect for keeping other dogs and wild animals away from your pet as they enjoy your yard. A fence is not only an important safety feature of your home but also a necessary boundary for your pet to understand their space. By providing a distinct boundary around the perimeter of your yard, you are showing them where their space is so that they may feel comfortable to run and play around your property. This is perfect for puppies or even outdoor cats who may enjoy spending even more time outside than older dogs who are less likely to run off.